If you are a regular reader of my little slice of internet, you’ll know I like my crafts. Most of the crafts I do nowadays include a toddler so it makes a nice change to do something on my own every now and then. So when I received an email from the lovely people at Go CableTies asking if I would like to take part in their christmas challenge, I had to accept! 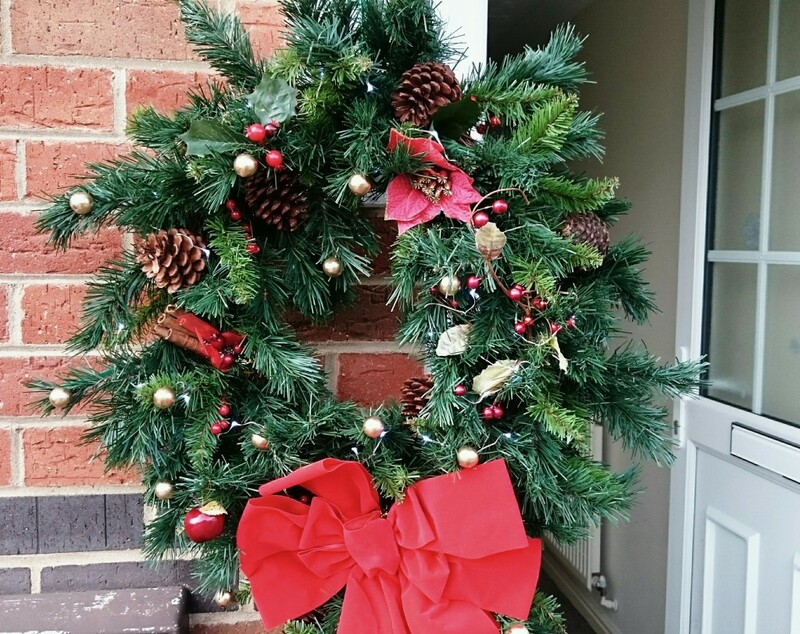 Go Cable Ties is a company that works with crafters, gardeners, farmers, and workmen and women across the UK and set up a christmas challenge to inspire people to make something themselves and save some money this christmas. They gave me a choice of what I would like to make and sent me some items to use. I chose to make a christmas wreath. Normally we buy a fresh one as I love the smell of them as you walk through the front door but I always end up adding to it or making it a bit more unique and then when Christmas is done, it ends up in the bin, so having one that is going to last us at least a few years will certainly save us some pennies. 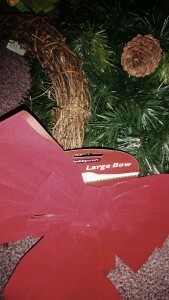 I was sent some garland, a wreath shape ring, a large bow, some lights and of course a packet of cable ties to hold it together and to hang it. I wrapped the garland around the ring and left two short bits hanging at the bottom. The garland already had a few fir cones and berries added to it but I added a few extra bits from my own tree such as a small apple, some more red and gold berries, various fake Christmas plants and some cinnamon. You can never have too much Christmas! I reshaped the bow slightly and added the lights and Voila! 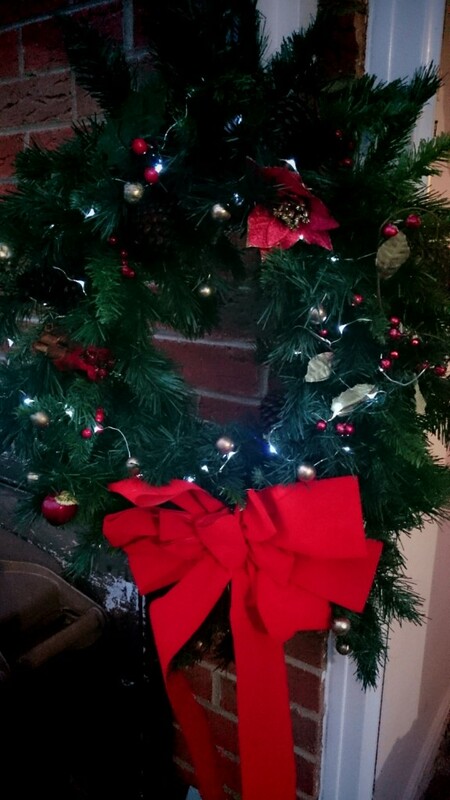 One very festive, Christmas wreath! If you would like to see some entries from other participants in the DIY challenge, you can find them on the Go Cable Ties blog page. This is lovely 🙂 I like the addition of the lights. Have a great Christmas!